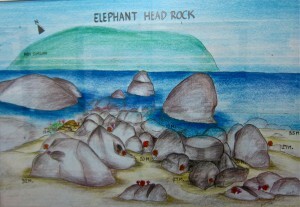 Elephant Head Rock is a rock formation that breaks the water surface, half a mile south of Koh Similan. 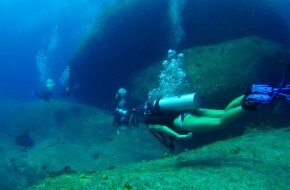 The main features are several spectacular granite boulders which brake the surface. 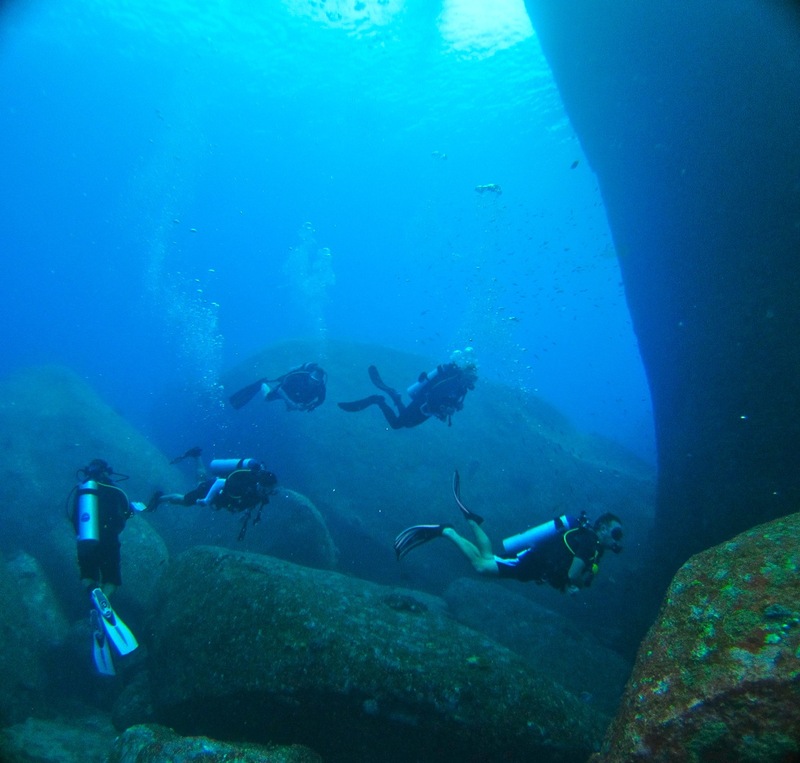 Under water the scene is even more dramatic as next to the bif main rocks several other boulders are stacked up and together in a weird way which creates a complex landscape. 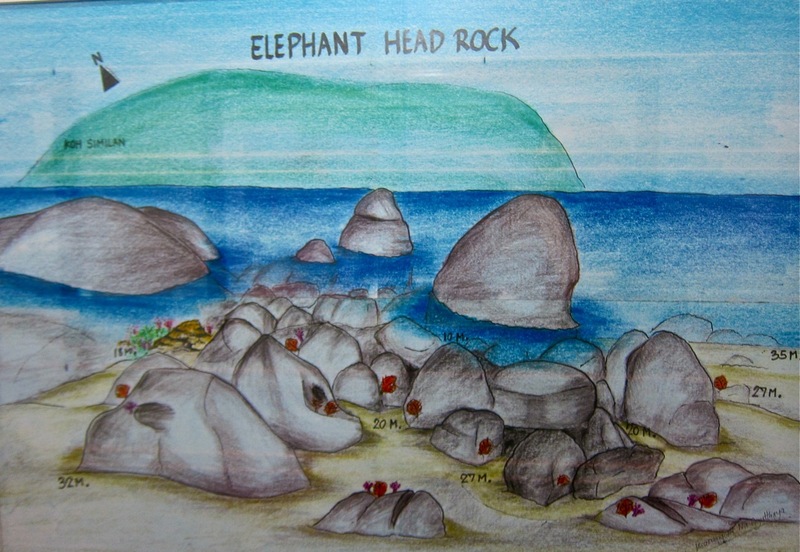 Elephant Head Rock is is not protected by an island, it is situated right in the channel between Island #8 and Island #7. 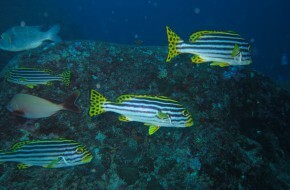 The water currents created by the tides are stirred by the boulder creating ideal conditions for underwater life both reef creatures and pelagic fish. 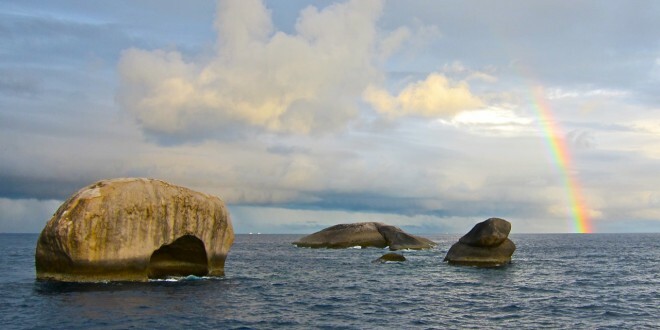 Elephant Head Rock is widely regarded as the most spectacular dive site in the Similan Islands itself – only topped by Koh Tachai and Richelieu Rock way north of the Similans. 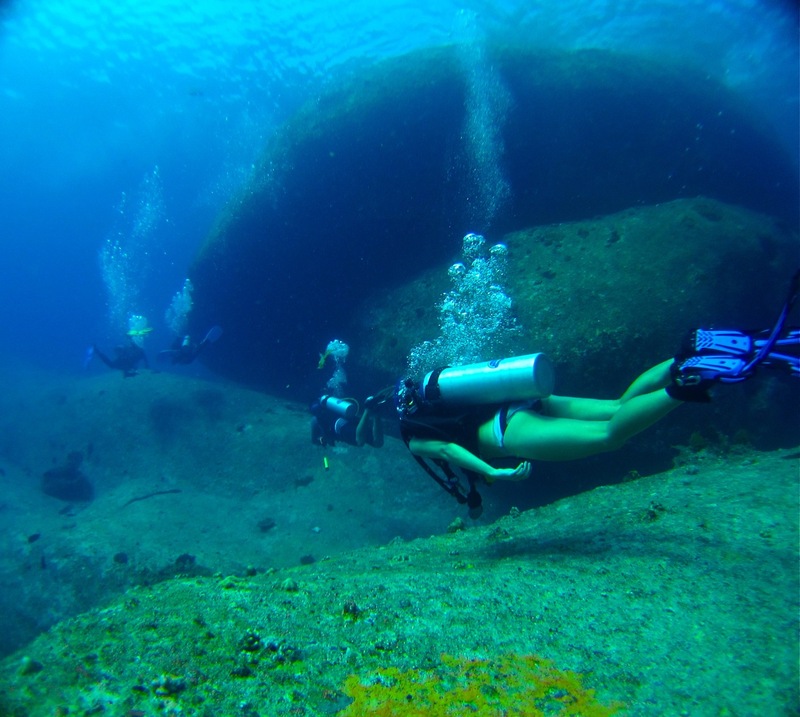 In calm and clear conditions this is even a perfect snorkel site – but only for advanced snorkelers and good swimmers as the huge boulder catch quite a bit of swell, even on calm days. 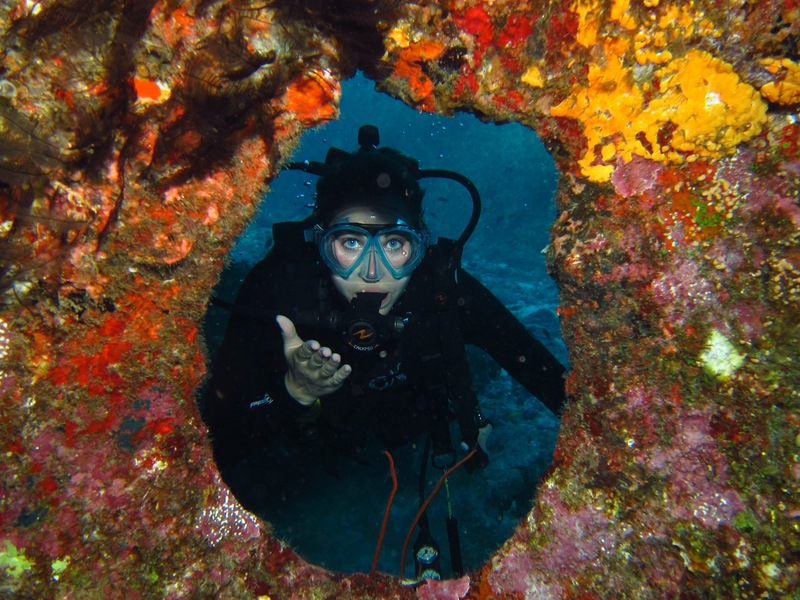 Snorkel operators only snorkel at Elephant Head Rock when the ocean is friendly, visibilities are perfect and chance of seeing bigger pelagics like whale sharks and manta rays are given. 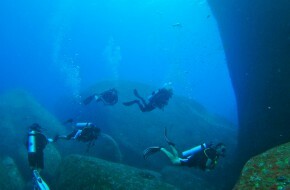 The Dive Site is dominated by the two very large boulders which are accompanied by a couple of just normal large rocks. 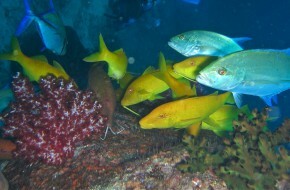 Schools of fuseliers tend to gather upcurrent and attract tuna and trevallies. 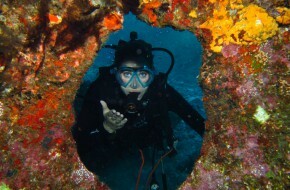 At 40 meter depth on the northeast side lies the realm of a handful of reef sharks. 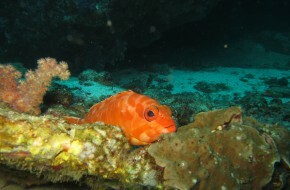 Between the boulders patches of hard and soft coral sit on sandy bottom and rubble. The spaces between the boulder offer perfect hiding opportunities for sweetlips, soldierfish, several groupers and breems. 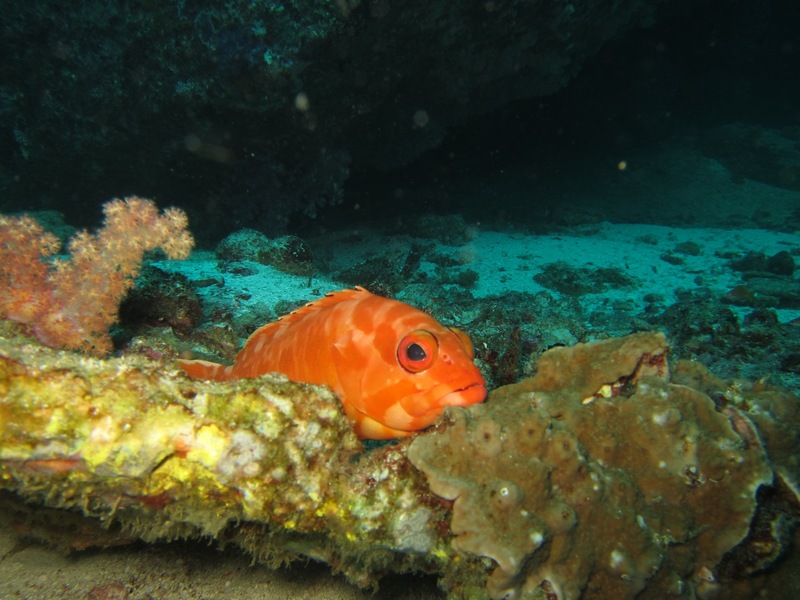 Numerous swimthroughs and the spectacular view over the rocks makes this place the definite highlight divesite of the Similans.